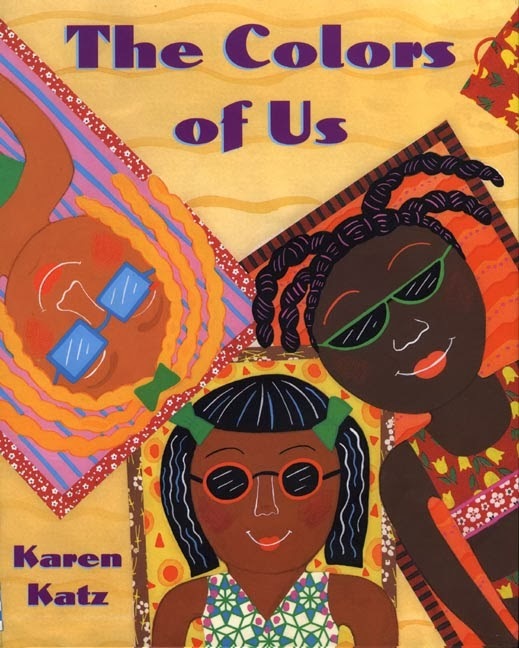 The Colors of Us by Karen Katz is a lovely story about a young girl named Lena. Lena is learning to mix colors from her mother, who is an artist. Lena’s mother explains to Lena that brown is not just brown and that there are different shades of brown. She takes Lena on a walk around town to look at the color of skin of her friends and family. Along the way Lena learns that there are many shades of skin color such as peachy and tan, honey, reddish brown, bronze and amber and tawny tan and that all of them are beautiful colors. This book is a great representation of how people come in many shades, even members of your own family. It makes comparisons to foods, and jewels so your students can make real world connections to these shades. Brown is not just the color of dirt. Brown is the color of many beautiful and delicious things. Teachers can incorporate this book within the first few months of school when their students are learning about one another. A great activity to accompany this book is to ask children to bring in their favorite brown colored food. Have some paints and paper ready for your students to paint the different shades of brown food that was brought in. This is not only a fun activity but an appetizing one too. The students artwork can be displayed for all to admire and learn from. Lesson Plan - What Color Are You?